Los precios de los productos y la disponibilidad son correctos a fecha 2019-04-21 09:38:40 BST, pero pueden cambiar. La información de disponibilidad y el precio correctos serán los que se mostrarán en http://www.amazon.es/ cuando finalice la compra. 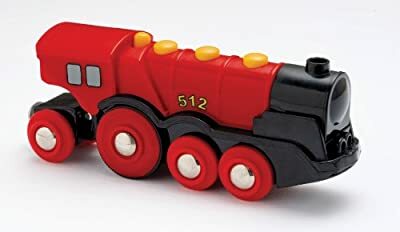 Consigue de forma segura, rápida y al mejor precio el fantástico Brio 33223 - Locomotora a pilas con movimiento y sonido, color rojo por Brio. Product includes – A large locomotive with front and rear lights, and buttons for forward, stop and reverse. Also features the characteristic ‘choo-choo’ sound effects and a switch on top that allows free wheel movement without the battery function. 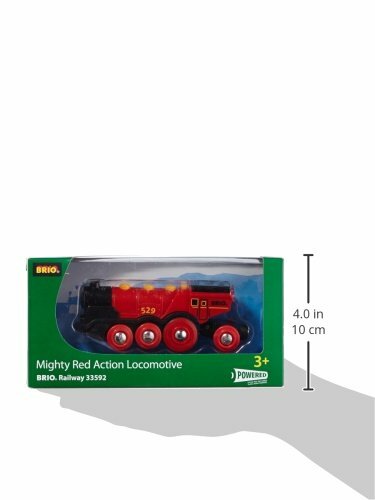 Perfect for the creative toddler - Start your budding train engineer off on the right track with a BRIO World Mighty Red Action Locomotive toy train. It’s the perfect gift for the creative toddler - designed for ages 3 and up. 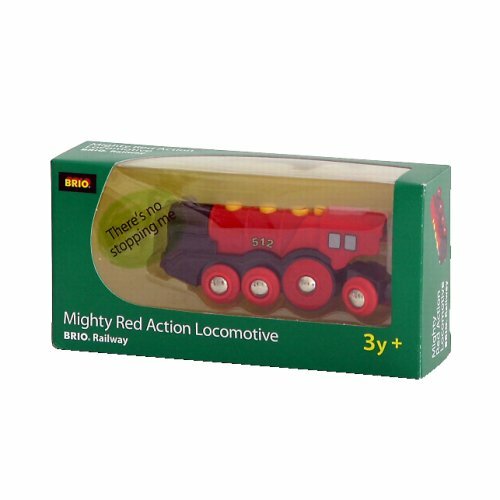 Compatibility - As your child develops, so can their railway play as the 33592 Mighty Red Action Locomotive is compatible with all other BRIO railway tracks and vehicles. Develops important skills - Playing with train sets helps children to understand and learn about their environment in a fun way, and the train functions help improve a child’s spatial awareness and fine motor skills. Safe for your child - We conduct more than 1,000 safety tests a year to ensure that our products conform to all safety standards, and we take pride in developing toys that are completely safe for children to play with.